This article discusses the key factors that will continue to reshape the pharmaceutical and medtech marketplace, including the growing power of stakeholders like healthcare payers, providers and patients, and the strategies required to create a marketing and sales model that is fit for the 21st century. These changes will ensure that products are marketed cost-effectively, create new opportunities and generate greater customer loyalty across the healthcare spectrum. Pricewaterhouse Cooper and Deloitte have released projections on trends to expect for the industry in the future. As a result of years of growth and favourable market trends, the global life sciences industry is faced with new and challenging demands. Even though it is still a stand-out performer globally, and a key strategic area for the EMEA region, markets are changing globally. Not only is one of the biggest developments in life sciences sector globally, manufacturing, it also has to adopt business model structures to counter slowing sales growth, reduce hindrances to profitability, deliver patient outcomes that is reflective of expectation and ensure that the sector is positioned for future success and innovation. In its report on Life Sciences Industry Outlook 2017, Deloitte, indicated that growth in the sector is inextricably linked to global health care expenditures which is expected to be driven in 2017 and coming years by increasing demand from an aging population and the rapidly increasing prevalence of chronic and communicable diseases. 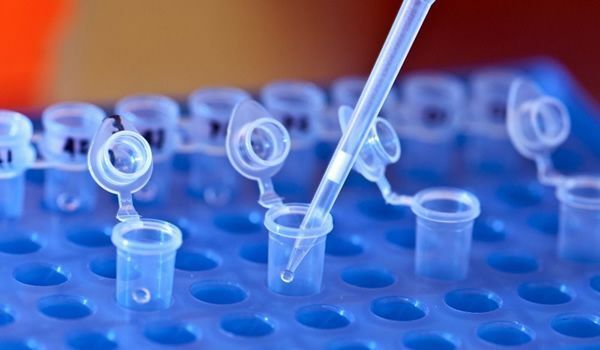 Global life sciences sector has to address issues relating to current evolving marketplace which is rife with political and economic uncertainty, cost and pricing pressures, increased demand for innovation and value – which drives competitiveness, more focus on consumer engagement, and an ever-changing regulatory and risk environment. To effectively contend with these challenges, the Deloitte report highlights the need for cost and pricing management, with companies “working more cross-functionally, increasing operational efficiency through initiatives like digital supply networks and other technology advancements and using end-to-end evidence management strategies to demonstrate the efficacy and cost-effectiveness of their products”. As a result of stiff competition and patent cliffs, when products go off-patent which is bound to negatively impact revenue, according to Deloitte “high R&D costs, heavy pricing pressures, impact of increasing market share for generic pharmaceuticals and biosimilars, and heightened scrutiny by regulators are having a dampening effect on clinical innovation”. The projection of the report is that innovation will be driven by an array of clinical trends which will have significant, transformative impacts on the products and services offered to patients and improve how companies in the sector develop and implement strategies regarding the efficiency and security of their product supply. Companies in the sector have to address issues related to the burden of chronic disease. The prevalence of chronic diseases is on the increase coupled with increase in retirement age due to greater longevity in many countries, more people will still be working at the point at which these diseases commence. The social and economic value of treatments for chronic diseases will rise accordingly, but Pharma and medtech companies will have to reduce prices and rely on volume sales of products because they will be unaffordable for many countries. As chronic diseases, such as diabetes, cancer and cardiovascular diseases become increasingly the cause of more fatalities the world over, the onus is on public health policy makers and stakeholders to develop and establish strategies that will reduce the burden of the cost of intervention on payers and patients. Chronic diseases represent huge economic burden on individuals, health systems and societies, governments have to recognise that these costs are expected to rise without the implementation of effective interventions. This may inform why the World Health Organization (WHO) reiterates the necessity to invest in the prevention and control of these diseases, using interdisciplinary collaboration in combination with joint plans in order to establish an integrated approach. With this focus on reduction of cost burden on payers/patients, Companies are continually taking different paths to achieve and retain quality, cost, and efficiency goals and these include collaborative product development, portfolio and operational restructuring, growth through mergers and acquisition and talent transformation. The role of healthcare policy-makers and payers as determinants of doctors’ prescription. As treatment protocols replace individual prescribing decisions, indicating that payers are more concerned about risk and cost effectiveness. Pharma’s target audience is also becoming more consolidated and more powerful, therefore patient outcome is becoming the main factor with profound implications for its sales and marketing model. The industry will have to work much harder to be profitable, collaborate with healthcare payers and providers, and improve patient compliance. With an ever changing digitalised environment and the shift to consumer driven market, this means that life sciences companies have to move from traditional product development and marketing models to more patient centred approaches. Deloitte report suggests that they can do this by “leveraging their digital, analytic, and data management capabilities to assemble data and monitor and evaluate outcomes, enhance treatment regimen compliance, while also increasing product utilisation and develop tools that help interact with patients across new channels”. “biopharmaceutical companies will closely watch how pay-for-performance evolves. Should payers become overly enthralled with rebates and continue to raise the bar, companies could move their R&D efforts into areas where a drug’s impact can be easily defined and measured. In such an environment, therapeutic areas like depression and obesity could give way to diseases like psoriasis or rare diseases where patient advocacy remains strong. In its efforts to rein in costs, payers might unwittingly force R&D out of areas where new drugs are still needed”. The boundaries between different forms of healthcare are blurring. The primary-care sector is expanding as clinical advances render previously fatal diseases chronic. The self-medication sector is also increasing as more prescription products are switched to over-the-counter status. The needs of patients are changing accordingly. Where treatment is migrating from the doctor to ancillary care or self-care, patients will require in-depth information. Where treatment is migrating from the hospital to the primary-care sector, patients will require new services such as home delivery (PWC). This is a trend that the sector has to contend with. Highly varied markets in developing countries where it is expected that the demand for medicines will grow in the coming years. In its 2016, Top Markets Report on Pharmaceuticals, the United States Department of Commerce stated that market growth is shifting toward emerging markets in Asia, Latin America and elsewhere, where pharmaceutical sales are forecast to expand at double digit rates. Further reforms of legislative systems, especially regarding patent protection and enforcement, as well as improving regulatory conditions, will make these markets increasingly attractive. Developing countries have very different clinical and economic characteristics, healthcare systems and attitudes towards the protection of intellectual property, according to this report. Companies looking to serve these markets successfully will therefore have to devise strategies that are tailored to their individual needs. Despite their impressive potential, developing countries pose immense challenges and risks for multinational pharmaceutical companies. To succeed, companies must choose markets selectively and devise tailored sales, marketing, acquisition and pricing strategies. Developed and developing markets often vary politically, culturally, socially and religiously in ways that effect pharmaceutical sales. They may vary, for example, in their use of traditional medicines or in the disease profile of the population due to different ethnic origins, diets and environments. Focus on preventive interventions/policies rather than treatment by governments despite the slow investment in pre-emptive measures. With governments rolling out healthcare strategies that are increasingly focusing on prevention rather than treatment due to the fact that prevention is considered more cost-effective, provide value for money and give returns on investment in both the short and longer terms, interventions here may include strategies that address the environmental and social determinants of health, building resilience and promotion of healthy behaviours, as well as vaccination and screening. The current costs of ill health are significant for governments in Europe; trends suggest unsustainable increases in costs unless cost-effective policies are put in place (WHO – The Case for Investing in Public Health). This change of emphasis will enable Pharmaceuticals to enter the realm of health management. But if it is to do so, it will have to rebrand and rebuild its image, since healthcare professionals and patients will not trust the industry to provide such services unless they are sure it has their best interests at heart. Risk aversion by regulators. Leading national and multinational agencies have become much more cautious about approving truly innovative medicines, increasing risk aversion by executive management teams is resulting in a slowdown in the appearance of novel pharmaceuticals. Companies will be faced with complex, changing set of global, regional, country, and industry-specific legislations that impacts a drug or device’s developmental and commercial lifecycle. Primary regulatory focus areas will increasingly include cybersecurity, drug and device safety, counterfeit drugs, intellectual property (IP) protection, and corruption. Pharma and medtech companies will have to proactively track and monitor regulatory developments and understand their independent and combined impacts to the industry. There will therefore be the need to continue to engage heavily with regulatory bodies globally in order to not only maintain compliance, but to also assess how the sector can influence regulations. According to Micheál Coughlan, Managing Partner of InterSearch Ireland and Head of the InterSearch Life Sciences & Healthcare Practice Group, for the biopharmaceutical industry to be better placed and prepared to face future challenges, it is imperative that they apply holistic strategies in ensuring they have the right combination of talent. 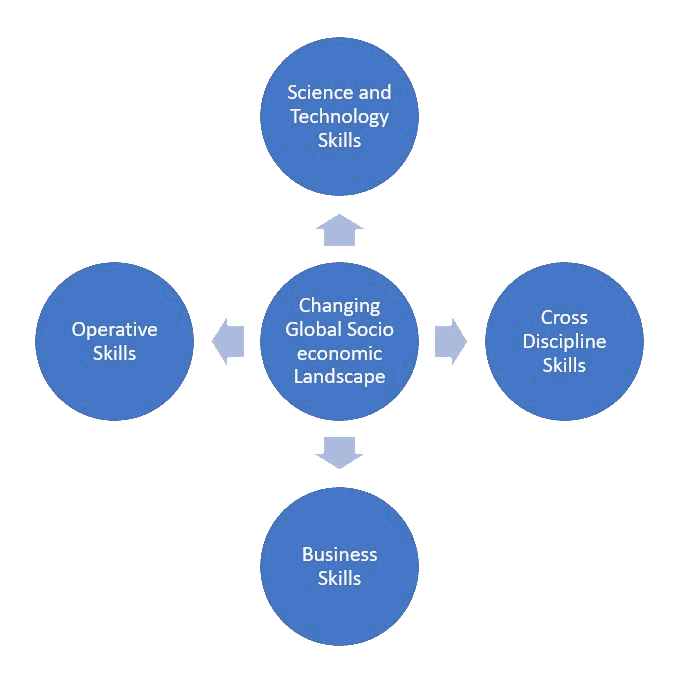 In its 2016 report, the Expert Group on Future Skills Needs identified drivers of skills demand in the biopharma sector as; Global drivers of change which sees the need for competiveness and productivity as key issues for the Biopharma industry. Also, are domestic factors relating to companies’ response to post-patent-cliff environment and how operational strategies are developed and implemented to maintain revenue generation. The burden of developing, adapting and managing adjustment lies within individual companies and their willingness and ability to identify, engage and retain the right talent. The industry must continue to increase collaborations with academia and other stakeholders in Research and Development. This is not just a cost factor but provides companies access to facilities and a broad spectrum of relevant talent. Considering the impact of technology, it is imperative that biopharma and medtech companies explore ways of communicating with users and payers using relevant media interface. This is more so with healthcare delivery moving from acute hospital settings to community and home based settings, where drug and product use are adapted to user friendly application. In other words, drug administration will increasingly move away from healthcare professionals and more to user application. Information is therefore a key factor that will play a role choice of healthcare products and interventions. As healthcare demands continue to rise due to increased life expectancy in developing economies especially in countries like Brazil, China and India, the pressure on the Life Sciences industry in these countries will expand due largely to population size and technology. It is therefore expected that the industry will focus on the development of interventions and products tailored to respond to demands of these markets along with the demands of changing global user profiles. Micheál Coughlan, Managing Partner of InterSearch Ireland and the initiator of the InterSearch Life Sciences Practice Group and Group leader for Europe. He has worked with a variety of organizations designing and implementing recruitment strategies for executive appointments. So if you are looking for top healthcare and life sciences talent contact ZW HR Consulting today.